I was recently visiting with my cousin. She said she can hear just fine but in background noise she cannot understand most of the words. She was hearing but not understanding. This is typical of a high frequency hearing loss. Most people associate hearing loss with deafness. However, it is common for people to understand speech and hear well with no background noise with a high frequency hearing loss. Hearing loss is really complex, it involves the ears and also the brain where sound is translated into meaningful words. Hearing loss effects everyone differently. With a high frequency hearing loss, you may have problems understanding speech in a relatively quiet environment. However, you add background noise and it becomes impossible to understand anything. That’s when people start withdrawing from social situations, public places that they once enjoyed and ultimately withdrawing from life. Family members, friends and work colleagues sometimes get frustrated and think you have selective hearing because sometimes you hear and understand fine and other times you don’t. On the other hand, you might start accusing others of mumbling because sometimes you can hear them fine and other times you don’t. After explaining this to my cousin she immediately felt old because I told her to get a hearing test. This is a myth, hearing loss knows no age. You can be born with it. We as a society need to stop stereo typing hearing loss and linking it to age related. You’re not old just because you need hearing aids. I have tested quite a few people past their 80’s that have relatively good hearing and people in their 20’s that have poor hearing loss. Most of the time the best solution is hearing aids. 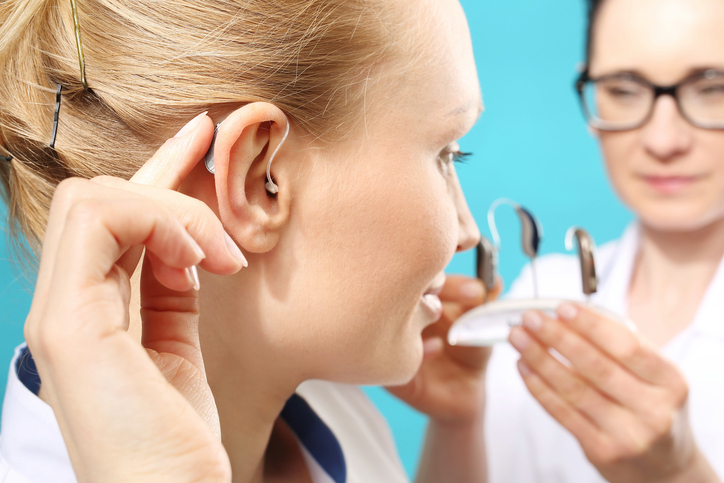 We do a hearing test that also test for the understanding of speech so we can tell you how well you will understand once we put the hearing aids on you. If you have good word scores, then you will notice a huge difference in hearing speech in noise. You will also be able to engage back into life. You also need to choose the correct hearing aid for your life style. Some hearing aids cut out more background noise than others. So, it is extremely important to pick the right one for you. Also, sound quality of the hearing aids sometime is associated with the style of hearing aid and the type of hearing loss you have. But, I will leave that for another blog. If you are having difficulty understanding or hearing in background noise, then you really need to have your hearing tested. Know that you are not alone and that it does not mean you are old. Please get the help you need and enjoying conversations at work, home and play. Help is available. Call Accurate Hearing 907-644-6004 today for a free hearing test and get back into life.